CLARO takes random images from gallery and set it to wallpaper. The idea of switching between wallpapers is quite simple on its face. You just need CLARO Random Wallpaper, it can put up wallpaper from a folder full of images. Easy, right? Yes, it is, CLARO gives certain level of control over what is shown, It gives a wide range of options that provide significant control over when the wallpaper is changed, and what it is changed to. ✔ Set interval time, how often you want to change the wallpaper. CLARO is not a Live Wallpaper, its App without any background services and hence its very battery friendly. 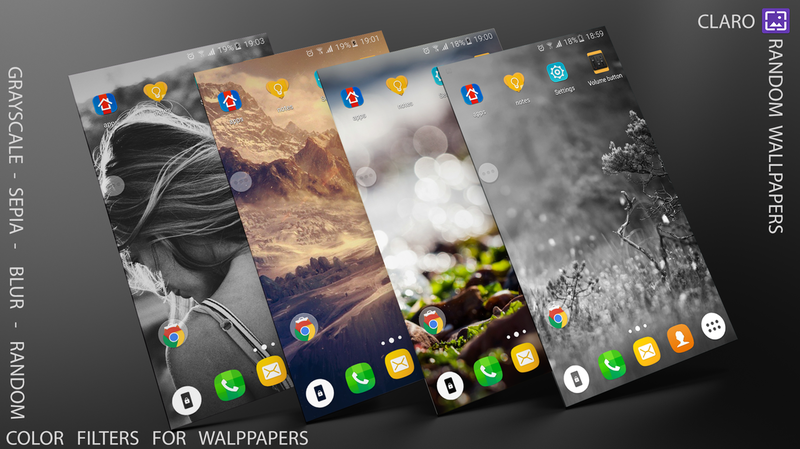 If you like CLARO : Random Wallpaper don't forget rate 5 star ★★★★★ or review.